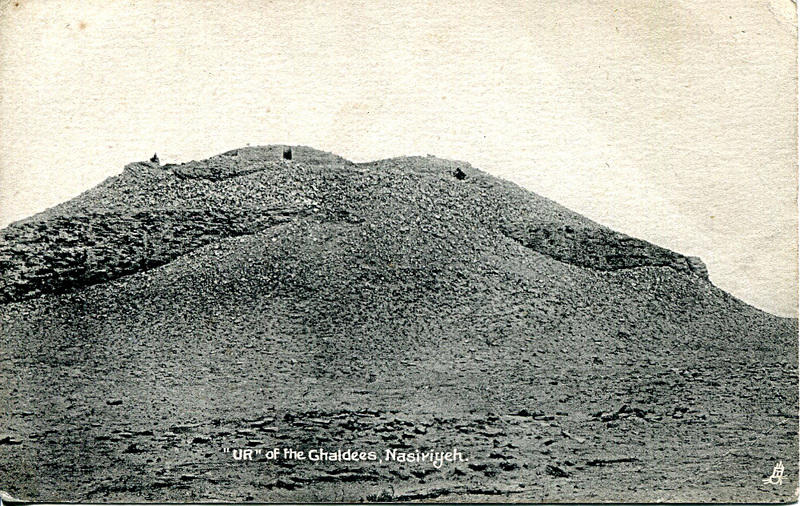 Our correspondant on all things Mesopotamia in WW1 has survived the desert summer and returns with a new post about the Norfolks in the Middle East. Summary for August – October 2015. Thanks and appreciation for her help and advice, as always, go to the Curator of the Royal Norfolk Regimental Museum. Well now, about this scrap; our part was not at all a glorious one I can tell you, consisting merely in lying out in the open in shallow trenches being shelled all day for 2 days, in a blasting sun, no shade, clouds of dust; above all, very little water as we only had our water bottles and a few tins we got filled occasionally at the river a few miles away. Oh it was the rottenest 3 days I’ve ever spent, no chance to wash or move except at night; someone had to do it of course, and as we had Nasarijah to our credit, we did the holding while the 16th and 17th Bdes. did the big attack… We were lucky to have so few casualties, the whole brigade [18th Indian Infantry Brigade] had only 150. 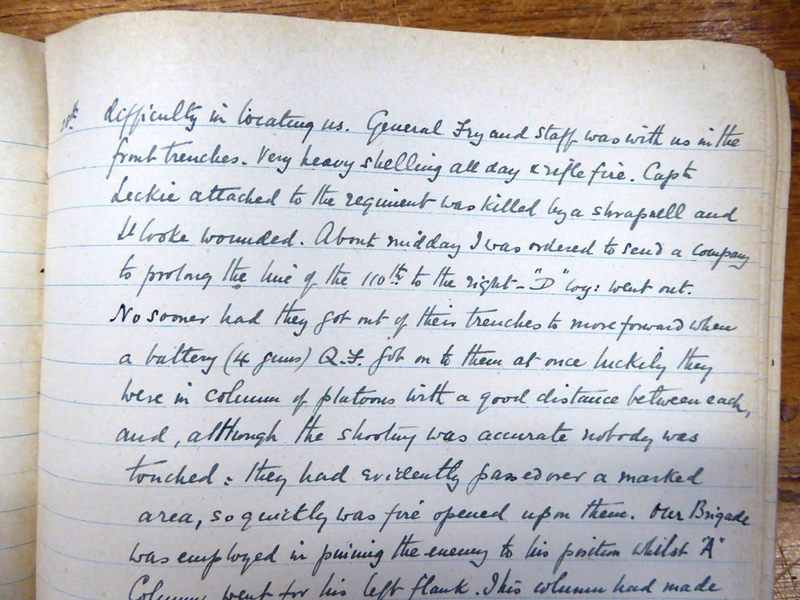 There is a hint of frustration in this officer’s letter, and this is apparent even in the objectively-written daily war diaries of the 2nd Battalion. Three themes are evident from the sources: slow progress upstream on the River Tigris, sometimes in paddle steamers, though often walking along the river banks as the paddle steamers grounded in the shallows; the daily round of making camp and digging trenches and building redoubts; and the progressive onset of debilitating illness. The traditional glamour and romance of war may be said to have passed from highly organised Europe with the introduction of the big gun, the high explosive, railways, and the other inventions of the workshop and laboratory. Only by going further afield to the changeless East, does a permanent picturesqueness introduce itself into the chapter of brute and mechanical force. Along the sluggish Tigris, round about the alleged site of Eden, save for an occasional aeroplane, a primitive steam vessel, and a few weapons of modern calibre, the war drags on in a dreamy environment with characteristic Oriental leisure. 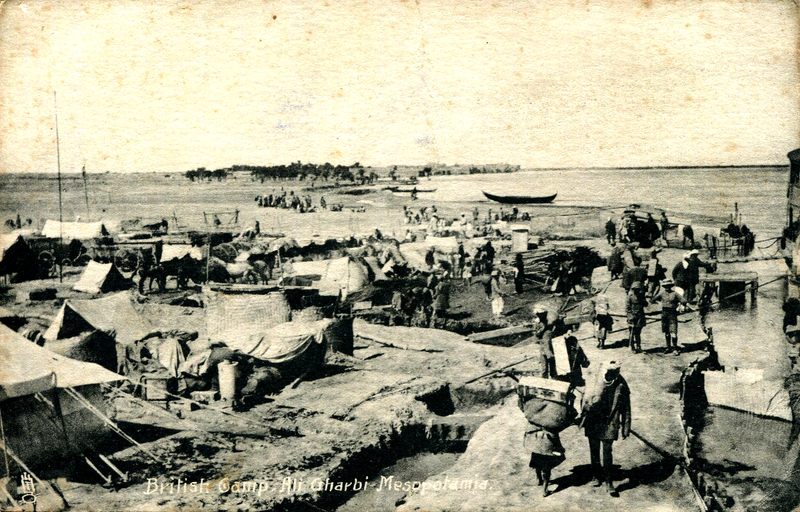 With our access from the Persian Gulf to within a few miles of Kut-el-Amara there is a constant procession of soldiers and transport along the Tigris. The most familiar and modern vessels are paddle-steamers, each displacing about 500 tons, and towing two lighters. These move slowly up and down stream, keeping pace with the troops on either bank, each acting as a parent ship to a brigade. Following in its wake, an number of romantic-looking mahailas with gracefully curved prows, upon which appears some inscription in Arabic, and rigged with large lateen sails, carry supplies to replenish those of the paddle-steamers. Palm trees, blue sky, and yellow sand complete the picture. As the Norfolk’s departed Nasiryiyah they would have been close to one of Mesopotamia’s ancient sites, the city of Ur, later excavated by the British archaeologist, Leonard Woolley, for the British Museum and the University of Pennsylvania. (Ur of the Chaldees, Leonard Woolley, Penguin, 1952) It is shown here in a postcard of the time. Then our barges were put onto a large river steamer where we were in the lap of luxury, never been so comfortable on any boat as we’ve got the large boat and 2 lighters for the whole battalion, so the officers have bags of room and so have the men. Only wish the journey could have lasted longer; a nice breeze the whole way, so not so impossibly hot. 6th August 1915 Still on Mejidieh. Passed Ezra’s Tomb at 9 am. Anchored some way below Amara. 7th August 1915 Arrived Amara 6 a.m.; delayed 2 hours by ships manoeuvring about the bridges. Landed and all kit ashore by 9.30 a.m. Battalion billeted in Norfolk House and 12 huts. After hearing all sorts of rumours on the way up here we simply disembarked… and here we shall wait for the rest of the brigade… Shall be here a week before we are ready to move on to the next place, Ali Gharbi, where the 16th Bde already are. Gen. Townshend has come back full of buck, having been to India sick for the last 2 months, can’t say he looks well. Townshend had collapsed on the 6th June following the capture of Amara, and was concerned how far Force D should advance in Mesopotamia. 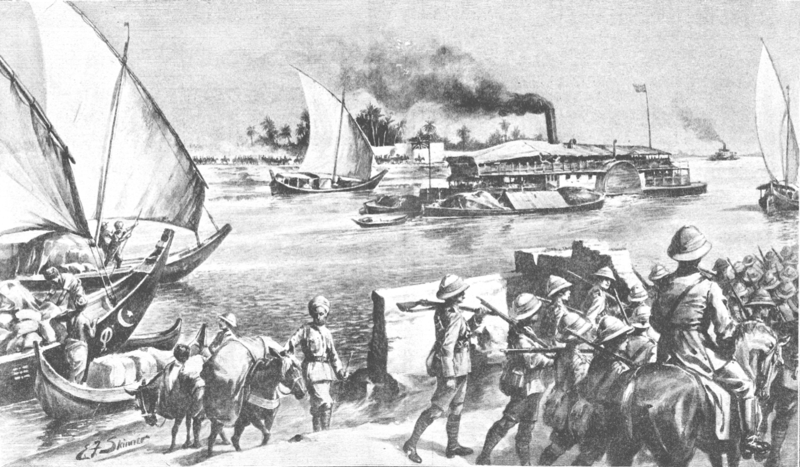 However, buoyant following the capture of Nasiriyah, both Lord Hardinge and Sir John Nixon had the bit between their teeth and wanted to press on to Kut al Amara. Austen Chamberlain in London advised the evacuation of Nasiriyah as it was such an unhealthy place for British troops, but Hardinge thought it too important a centre for potential Anglo-Indian administration for it to be abandoned. 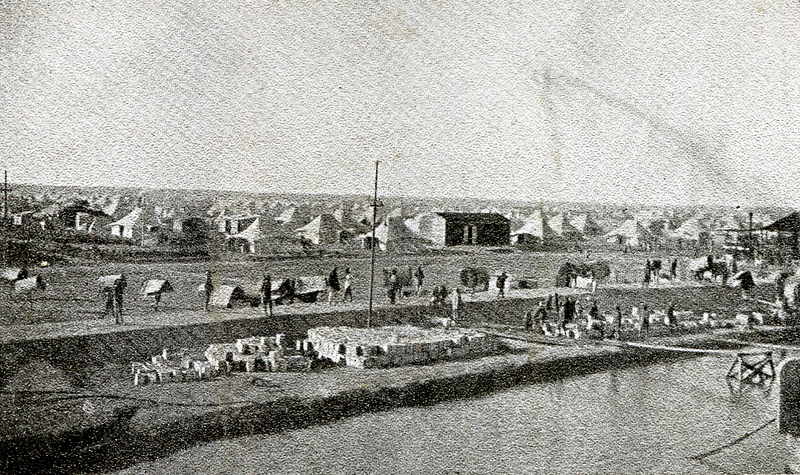 Townshend’s particular concerns were the adequacy of the supply lines between Basra and Kut, some 120 miles distant, and dependent upon river transport along the Tigris which was notoriously difficult to navigate, and with too few suitable vessels, but also the physical and mental welfare of his troops in Mesopotamia’s challenging environment. As Charles Townshend writes in When God made Hell: A striking fact about Nixon’s offensive commitment was how doubtful his most successful commander was about it. Our general didn’t want to come beyond Kut as it’s made such a long line, and with the river so low we have so few boats we can’t get stuff up, we haven’t got our winter kits yet. By jove it’s getting quite cold at night now. 15th August 1915 Sunday. Divine Service. Major Lodge rejoined from command (temporary) of 1/4 Hants. 16th August 1915 Parades as last week. 25th August 1915 Battalion parade. Class of instruction in bridging with “Wheatly bags”… Another class (in bomb throwing) started. Until 5th September the daily parades were supplemented by bridging and bomb throwing classes as well as a machine gun class. Got a large draft out a few days ago of 190 men, mostly Terriers [Territorials] from India, just arrived in time to save the battalion disappearing altogether. On 7th September the Norfolks set off again up the Tigris and reached Ali-al-Gharbi that night, where the steamer anchored. 12th September 1915 Loaded kit etc. on board “Blosse Lynch”. Heard about 8 a.m. that she will not start until tomorrow. Pitch tents for ½ Battn, the other half sheltered from the sun on board. 13th September 1915 “Blosse Lynch” sailed in accordance with 18th Brigade order no. 2. Reached destination, a village called Mandali at 3.15 p.m…. Country passed through very flat and sparsely populated. Banks high [owing to the falling river level]. 14th September 1915 Embarked at 5.30 a.m. and sailed at 6 a.m. All reached SHEIKH SAAD and found it deserted at 11 a.m. Anchored above. Received instructions for reconnaissance towards KUT-el-AMARA [by naval flotilla – there had already been an air reconnaissance that day reporting on enemy encampments], directed towards ES-SINN, to ascertain if the Turkish position near KUT is held in strength or not, by approaching the enemy’s position, engaging in a partial skirmish and then retiring. 26th September 1915 All embarked on “Blosse Lynch” by 5.30 a.m. No lights allowed. Sailed one hour later. 7.50 Banked in 1½ miles east of NAKHAILAT village and disembarked. Moved about 1 mile westward and bivouacked – no shelter. Made aerodrome and dug light shelter trenches. 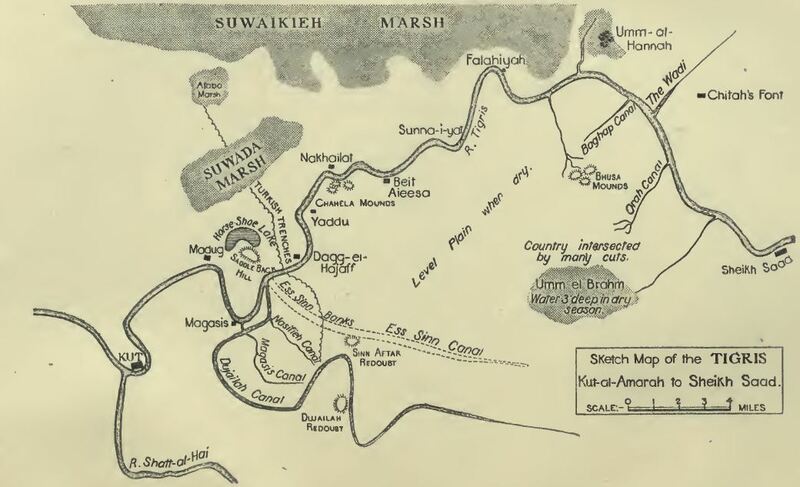 The enemy on the left bank were entrenched on a line extending from the Tigris on their right to the Suwada marsh, and again beyond it to wards the small marsh south of the great Suwaikieh swamp. On the right bank the line was extended south-eastwards along the Es Sinn ridge. Sept. 27th The Brigade (18th) of which the regiment forms part, moved out from camp at 5.15 am towards the enemy’s position. We were on the right of the line with our right roughly in the marsh, the 120th [Rajputanas] on our left, and beyond them the 7th Rajputs, the 110th [Maharattas] forming the support. We moved out in artillery formation. The enemy began shelling us and there was good deal of rifle fire. C & D Coys eventually occupied an advanced line taking advantage of an irrigation channel more or less parallel to the enemy’s position and about 600 yards distance. A & B Coys formed the 2nd line. I detailed a party of 6 under Sergt Friston to deal with snipers on our right front which were giving us a good deal of trouble, he did so effectively bringing in 35 prisoners including an officer. 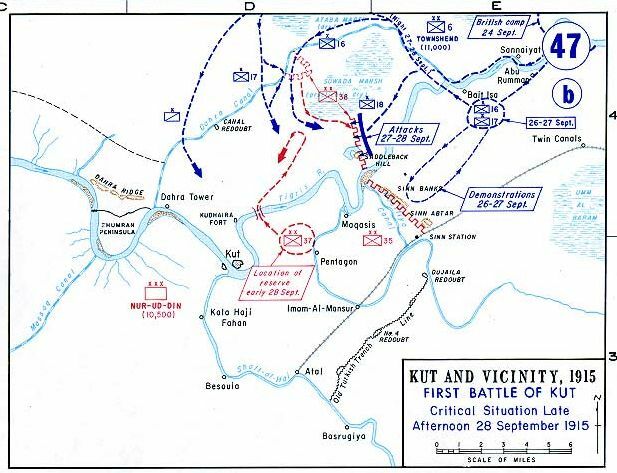 The function of the 18th Brigade was to stimulate a decisive frontal attack along the left bank, while the principal mass of the British force turned the whole Turkish position by passing between the Suwaka and Suwailkieh marshes and began wheeling to its left on Kut. Sept. 28th General Fry [commanding the 18th Brigade] was with us in the front trenches. Very heavy shelling all day and rifle fire. Captn Leckie attached to the regiment [Royal Fusiliers] was killed by a shrapnel and Lt Cooke wounded. About midday I was ordered to send a company to prolong the line of the 110th to the right – “D” Coy: went out. No sooner had they got out of their trenches to move forward when a battery (4 guns) Q.F. got on to them at once luckily they were in column of platoons with a good distance between each, and, although the shooting was accurate nobody was touched. “A” column successfully captured the enemy’s left works during the morning, they attacked again in the afternoon. The Turks countered but were driven off – we co-operated. We were subjected to heavy gun and rifle fire until well after dark. We managed to get up some food during the night. Sent officers patrols out during the night – Richie reported that he had got up to the Turk’s barbed wire and was not fired upon. Sept. 29th Early morning patrols discovered that the Turks had had evacuated their positions during the night, so we advanced at once into the position. We had to go cautiously as we knew they had mined a large portion of the ground in front. As we approached the trenches we realized that the enemy had made a most thorough preparation, all cover in the shape of water cuts, had been filled in barbed wire, military pits with stakes at the bottom had been dug, in fact every sort of obstacle had been constructed to keep us out. The trenches were splendidly made, with overhead cover, and facilities for water etc. made. They were surprisingly clean too. We at once got to work to collect material left behind… [which] was dumped near river to assist removal by barges. We moved forward and for some time occupied an evacuated horse coral, beautifully made of dried mud bricks with feeding troughs of the same material complete. Then we received orders to push in to the river where our steamers eventually arrived. We had to construct ramps down the banks for the guns, this took time and it was dark when we banked in just below Kut el Amara. The 16th Bde. is in Kut. Had my first hot drink of tea since the 26th. Sept. 30th Slept in a cabin, a great luxury. We moved on at dawn. It was very cold and I was glad of my coat. The minarets of Kut can be seen not far away. We are now, 7.30 am stuck in a bend of the river… eventually got through… and anchored off Kut on the right bank at the village of Woolpress, which village we were to become intimately acquainted with later on. Despite the Turk’s constant defeats – shows how sure they were, their commander [General Nur ud Din Pasha] is supposed to have wired Constantinople saying that he could hold out indefinitely at Kut. What a position to abandon, a perfect one, could hardly wish for a better. The Turks lost approximately 5,300 men and all their guns. Sailed 6 a.m. sticking all the way up – had to march the men along the bank and even then the ship stuck frequently. Total progress for the day about 8 miles, a delay of many hours being caused at one point and the ship only got out of it by taking all the men and every bit of stores out of her. 7th October 1915 Started work in early morning as soon as light on trenches and defences… Knocked off at 11 a.m. as sun was getting too hot for digging. At 12 noon received orders to send 50 men to work for the artillery from 4 p.m. to 6.30 p.m.
8th October 1915 “A” Coy fatigue under the R.E. continued making wire entanglements along our front till 10 a.m. after which it is too hot to work. “B” Coy… on R.E. Fatigue yesterday have 29 sick today. 10th October 1915 Continued work on wire and trenches. Percentage of sick still very high. Yesterday we had 44 men in the field ambulance here, and this morning 95 reported sick. 13th October 1915 Several men of the Battn. are discovered to be suffering from what is suspected to be beri-beri. One man (Pte. Skipper) died of it this evening. 15th October 1915 Maj. Gen Fry left on sick leave… The beri-beri cases now number 20, but all are said to be doing well. 18th October 1915 Blosse Lynch arrived with Capt. A.J. Shakeshaft [whose diaries are an important source for the siege of Kut later]. 29th October 1915 Brush cutting fatiques as usual. 30th October 1915 Brush cutting fatiques as usual. 31st October 1915 Brush cutting fatiques as usual. We went on steaming up this old river till we came to our present camp some 100 miles by river from Baghdad and 50 miles by road. The trouble is we are so dreadfully weak… you have no idea what an awful state the men are in, quite played out, not a kick in them at all. Had a proper lot of digging since we’ve been here and see no signs of it ceasing yet awhile; helped to knock the men up of course on top of bad feeding which is half the trouble. Have had no vegetables of any sort for 2 months, and no potatoes for nearly 5, no wonder the men have a sort of epidemic which is put down to lack of vegetables. At the end of the month the Norfolks were encamped at Azizie, not having participated in the British capture of El Kutunie on 27th October. A companion piece to this entry will be published later in the month with a post about the Norfolk Regiment’s Casualties in this theatre of war. This entry was posted in research project and tagged Mesopotamia, Norfolk Regiment. Bookmark the permalink.